Demons for Tea Has a Cover! You Can Preorder it! I’m using too many exclamation points! I love this book. I had SO much fun writing it! Ex-priest Denis Kaine’s surviving on ramen and kicking otherworldly creatures off this planet. It’s all noise to fill his chasm of hate and guilt inside from letting his twin brother blow his brains out because he’d been possessed. Denis should’ve known. He should’ve seen. He should’ve… everything. His survival techniques are no match for Emma Koroleva, the 1200-year-old entity he freed from imprisonment in Rome. She’s powerful, she’s got major attitude, and she hates ramen. She changes into various poltergeists and forces Denis to “exorcise” her. Denis gets paid, they eat real food, and she toys with seducing him. Denis starts to think he’s living in the sitcom from hell until he learns his dead brother’s become the plaything of something big, strong, and evil. Screw sitcoms. Denis is about to prove why his rep is legendary in the spirit world. Certainly horror can be pretty. Was there any doubt? My story “Butterflies Eating the Dead” will appear in Transmundane Press’ TRANSCENDENT anthology! Second: New Horror is coming soon! Omnium Gatherum Books will publish Demons for Tea (Supernatural meets The Addams Family) later this year! Alice Loweecey’s going to be at a whooole bunch of book signings for her newest mystery, Second To Nun. Kate Morgan will be at all these signings too! Come on out and I’ll sign your copy of The Redeemers! WNY Women of Mystery: Tues, Oct 6th, 7 pm at the Amherst NY Barnes and Noble. Book launch for FLORAL DEPRAVITY by Beverly Allen (Barb Early) and SECOND TO NUN by Alice Loweecey. Plus Sandra Block’s new book, THE GIRL WITHOUT A NAME. Oct 8-11, Bouchercon in Raleigh, NC. Thursday, October 15, 5:30 pm: The Larkin Square Authors Series at Larkin Square in Buffalo. NY. Friday, November 6, 6 pm at the Williamsville , NY Barnes and Noble. So many authors at this event! Come out and get a lot of Christmas shopping done! Saturday, November 28 (Thanksgiving weekend), at The Bookworm, 34 Elm St., East Aurora, NY. With all these choices, you’re sure to find one you can come to. We look forward to meeting you all! 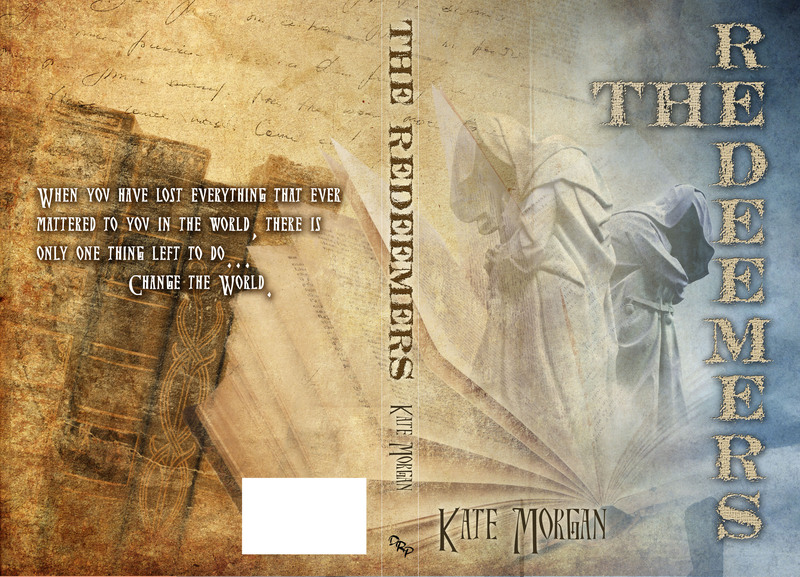 Today is The Redeemers’ Book Birthday! Buy it on Amazon (only $3.99)! Make sure you leave the lights on if you dare to read it late at night! I’ll be posting updates here and on my Facebook Page as the tour progresses. In addition! 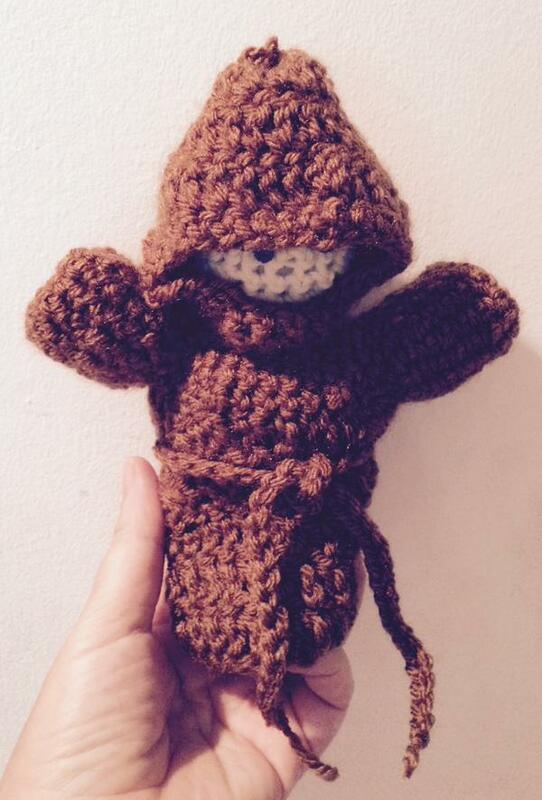 You could win one of three handmade Redeemer amigurumi by commenting during the tour. Save these dates!